Fred Stobaugh age 95 writes a song and it goes viral. Fred’s wife of 75 years had passed away a month before,and he read about a song writing contest so he entered it. He did not win because he didn’t send in the recording just the words along with a letter about his wife. You may have seen this video produced by Green Shoe Studio’s on YouTube. Fred is from Peoria, Ill and saw a contest asking for original songs on YouTube. So he wrote a letter and sent in the letter. The letter deeply touched the staff at Green Shoe and they decided to recorded it. The name of the song is Oh,Sweet Lorraine. “It’s one of them things where sometimes it’s just really good to give back and being 96 years old I pretty much knew he was probably on a fixed income. … We were just so touched by the fact that he loved her so much that he wrote a song at 96 and wanted to enter it into a singer/songwriter contest. The gumption to do that was kind of inspiring. Plus, I teared up in the letter,” Jacob Colgan Production Manager of Green Shoe Studio. What are your plans at age 95? I think a better way to ask this would be that if you are still living on planet earth and you are in your 90’s then do you believe God can still use you? This story and video about Fred made me ponder about life, and confirm again that it is not natural for man to determine when a person dies? God is the giver of life and until He is ready for us to die, then we should live. Life and death CAN NOT exist in the same person at the same time. Man is not just a body, but is a body and a soul. God breathed His life into Adam and called him man. At our last breath we are dead. We are not dead when the heart is still breathing, we are not dead even if we need help from a ventilator. When you are on a ventilator it is moving air into your body. It does not cause the other part of breathing–respiration; that is, it does not and it cannot exchange oxygen and carbon dioxide that occurs in lungs and body tissues. Respiration can occur only when the body’s respiratory and circulatory systems are otherwise intact and functioning properly.Respiration is human function, not machine function. A dead person can not respire. We are living in a culture of death where people are looked upon for what they can contribute to society. What a person can contribute to society is more important than you are a breathing human.Our culture has accepted the value that is more important to eliminate suffering than to defend the sanctity of life for every human being. What a sweet, sweet life Fred had with his wife of 75 years, and even in her death Fred was able to continue to fulfill a purpose and accomplish a song that magically goes viral and touches the hearts of millions of people. Oh sweet Lorraine, I wish we could do all the good times over again. I was fascinated by his life and how at age 95 he continues to make an impact. A spirited debate arose in the US last week over the withdrawal of life support from a recently paralyzed hunter. 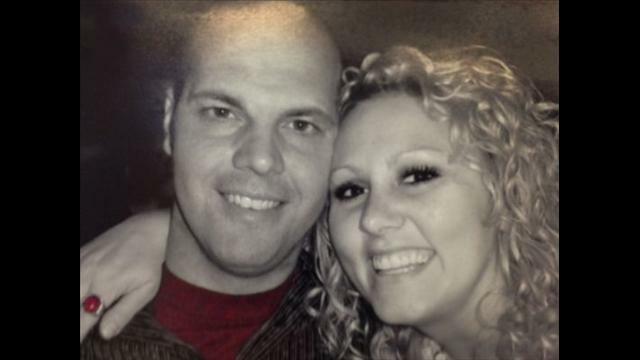 Tim Bowers, a 32-year-old newlywed from Indiana, suffered massive spinal injuries earlier this month after he fell from a tree during a deer hunting expedition. Bowers woke up in a hospital hours later, paralyzed from the neck down and reliant on a breathing tube. After being asked by his family, a despairing Bowers asked doctors to remove his breathing tube. Many bioethicists have argued Bowers was unfit to make the decision so soon after sustaining his injury. Arthur Caplan of NYU said, “initially after a terrible injury or a mutilating injury or a terrible burn, pain and disfigurement, everybody is like, ‘I can’t go on.’ Almost a hundred percent say, ‘I don’t want to live like this.” He suggested a cooling off period of a few weeks. Bower’s sister said that Tim had once said he would never like to live his life in a wheelchair. Outspoken disabilities activist Robert Anderson dismissed this “advanced directive”. I first read about this when a Facebook friend sent it to me and asked my opinion. I told her exactly what was written by Xavior Symons via BioEdge without the quotes from Arthur Caplan and Robert Anderson. This was made in haste and too soon. My condolence’s to the family, I only wish they had given him time and he had not made a hasty decision. I am sure he was in shock and anxious realizing his condition. I am a 55-year-old white man who is a quadriplegic based on a spinal cord injury in 1984. The level of my injury was at the fourth cervical level, resulting in near total paralysis below my shoulders. My breathing ability survived the injury, and after diaphragmatic strengthening, I have breathed without assistance for the last 30 years. I drive a powered wheelchair with a sip/puff tube, live in the community with assistants I hire and manage myself, and work part-time as a disability rights advocate. I am a writer and community leader in the disability community. Written by Xavior Symons for BioEdge under Creative Commons license. How many times have you heard people say that? Yet everyday people are injured in accidents, and need the help of a ventilator or breathing machine to help them breath if they are severely injured. When you have a loved one, involved in an accident your emotions are all over the place. You are confused, anxious,scared,distraught, numb and in shock. All of a sudden you are hearing big, medical words that you don’t have any clue what they mean from doctors and nurses caring for your loved one. Trying to discover the meaning of what they are saying is like learning a foreign language. I remember the first house my husband and I bought in Auburn, Alabama, we had no clue what all the terms meant, or what we were signing. Terms like, EMD (earnest money deposit) points,escrow,settlement were foreign to us. Now they are second nature to me having been an Ann Arbor Realtor for 18 years. Seeing your family member on a ventilator can be frightening. But, it doesn’t have to be if you understand what it means and how it is aiding in your loved ones recovery. On my quest to understand “brain death” after my son’s car accident, I learned about ventilators and why the common term breathing machine is misunderstood. 1) The ventilator is a machine that moves air and oxygen into the body. 2) Being on a ventilator is a good thing when you are seriously injured. 3) Being on a ventilator that is effective at supporting the vital activity of respiration means that you are not dead. A dead person does not breathe OR HAVE RESPIRATION. A ventilator uses pressure to blow air or a mixture of gases (like oxygen and air) into the lungs. This pressure is known as positive pressure. You MUST exhale (breathe out) the air on your own. Ventilation is the movement of air, while respiration is the exchange of oxygen and carbon dioxide. This exchange occurs in the lungs, as well as in the living tissues throughout the body via the circulation. Ventilation and respiration are essential requirements for life on earth to continue. Respiration in the lungs takes oxygen out of the air to be used by the body in exchange for carbon dioxide exhaled out of the body into the air. One critical thing to know about being on ventilation is that the ventilator does not cause you to respire. Respiration is being done by the patient. A dead person can not respire. If you encounter this situation don’t be afraid. The ventilator is helping your loved one…it is a good thing…it is helping them complete the whole cycle of breathing. It is helping preserve the life of your love one. The ventilator is helping the patient to breathe easier thus allowing them time to recover. It is important to understand what is happening if you have a loved one on a breathing machine so you are not frightened and can grasp that if your loved one was truly dead it would not work. 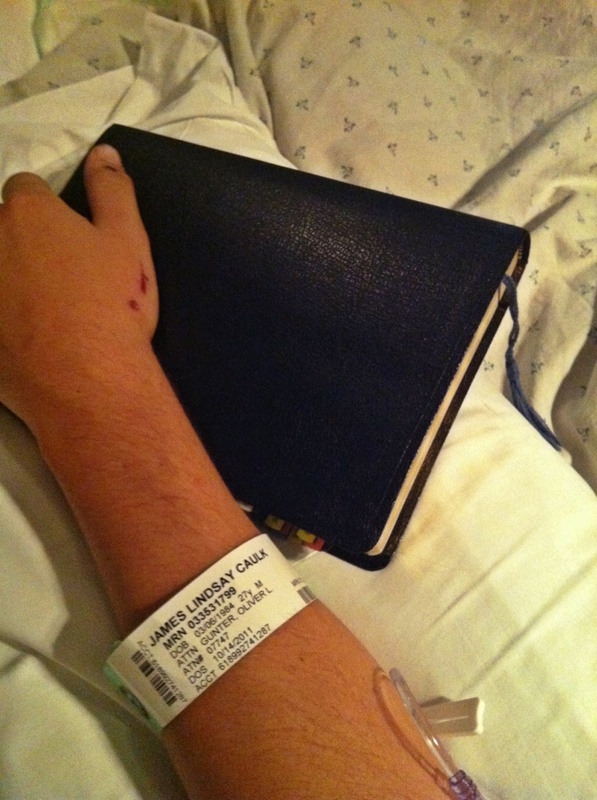 I wish I had understood what was really occurring while Jamie was on the Ventilator. 1) Do you think it is morally permissible to disconnect the ventilator? 2) Who should be making that decision? You via a written life directive, your family,or the doctors? Let me know your thoughts in the comments, no right or wrong answer just curious. Life and death can not exist in the same person at the same time…or Can They? Can a person be both alive and dead at the same time? Biologically speaking, our bodies are made of cells, tissues, and organs including three major vital systems. No one organ or system controls all other organs and systems. Interdependent functioning of organs and systems maintains unity, homeostasis, immune defenses, growth, healing and the exchange of oxygen and carbon dioxide. 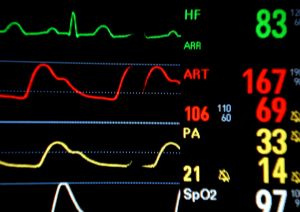 When a person is on a ventilator all the signs of life are present, including temperature, pulse, blood pressure, and respiration. When a person dies, the signs of death are present including the lack of breathing, heartbeat, pulse and blood pressure. A person’s brain may be severally injured, they are in a deep coma but they are not dead. We were together as a family when Jamie was taken off the ventilator. The signs of life one minute and the signs of death 14 minutes later. It was obvious… one minute he was there and the next minute he was gone from this earth. We had no choice but to remove him from life support, we were told “no hospital in the U.S would take him in that condition.” As a family together we decided we were not going to allow Jamie to die in a cold,sterile operating room with his organs being cut out while he was alive. The fact of the matter is if you are biologically dead, your organ’s can not be used. The organs must be vital…or alive. Within 4 minutes and some say sooner after your heart has stopped, blood flow through the heart to the all the vital organs makes them unusable. God created a person with a body and a soul. You are not dead until the soul leaves the body, that is true death. Two parts 1) the physical=body and 2) the soul from the breath of God. Dr. Michael Devita, Professor, Critical Care Medicine and Internal Medicine University of Pittsburgh School of Medicine,who has done a lot of research on the non heart beating donor, said that transplant donors are “pretty dead” before their organs are extracted. “Pretty dead” was not ok with us, is it ok for you?